I have surrounded this Indian brave with birds of power: eagle, red-tailed hawk and raven. I felt this design was in keeping with Daniel Winkler’s well-known style. 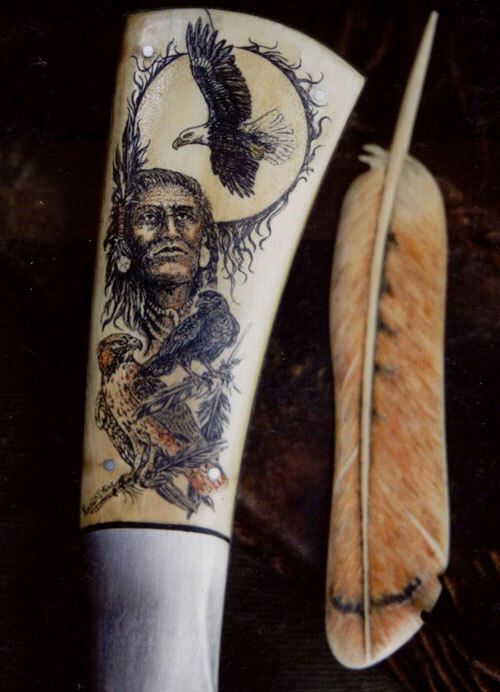 The feather is carved out of mammoth ivory and scrimshawed to resemble a hawk feather. Ivory on the handle is approximately 3”.